Those who do adore seafood but live inland often miss out on quality and freshness when it comes to their dining preferences. When you have the opportunity to visit a great coastal city like Busan, seize your chance to appreciate the seafood that has been caught and artfully prepared on the very same day. Here’s our list of the top five seafood restaurants in Busan, South Korea. What better way to relish seafood than in a an open-air tent restaurant that is nestled by the coastline of the Cheongsapo neighborhood. Guests can tuck into local delicacies that are rich with the salty aroma of the ocean. Grilled clams, together with SoMac, is a definite favorite among the diners who frequent this establishment. Each table is fitted with a mini grill, enabling guests to cook what they have ordered and tailor their meal to their preferences. For a more authentic introduction to the marine staples of South Korea, be sure to frequent this humble and welcoming restaurant. Encased within a 10-story building, the Millak Town Raw Fish Center introduces a relatively new gastronomic concept for tourists from the West. One explore the aisles of the market, located on the ground floor, and choose from a vast array of seafood items that can be incorporated into a sumptuous dish, or can be taken home to be consumed later. As one of Busan’s premier raw fish markets, the restaurant that resides above the market is always booming with an upbeat atmosphere and lively character. 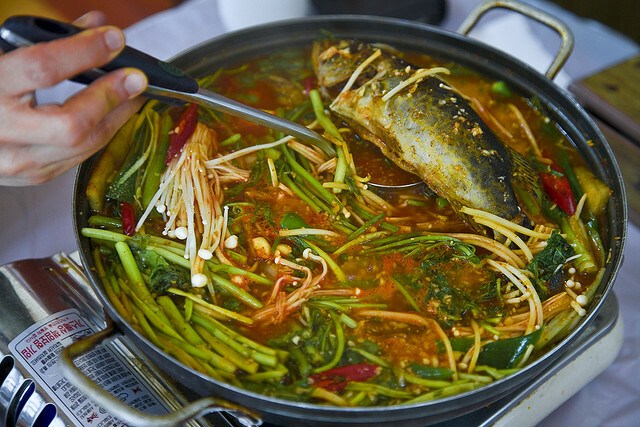 To get the real essence of Busan, sample the impressive spread of spicy fish stews, raw sea bream and rockfish. Loosely translated to ‘Grandma’s clear shellfish soup,’ Halmae Jaecheopguk has a wholesome and nurturing spirit which is evoked through their dishes. 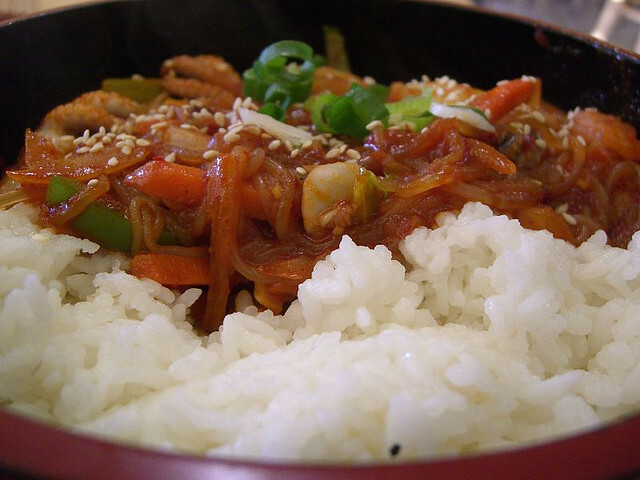 Located in Gwangan 2-dong, Suyeong-gu, Busan, the specialist restaurant used to sell its signature jaecheopguk infused with jaecheop (shellfish) acquired from the nearby Gupo area to people who sought refuge in Busan during the Korean War. 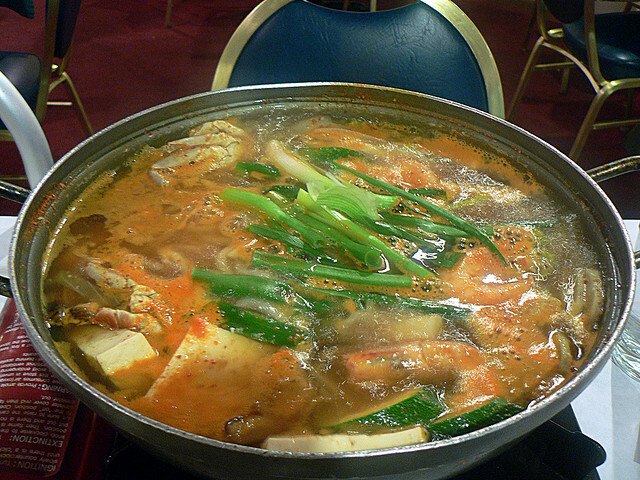 Each bowl of boiling broth contains abundant amounts of jaecheop, an ingredient that is said to aid in curing hangovers, making this dish the perfect breakfast for those who may have indulged in one too many libations the night before. As one of the first dining establishments to prepare blowfish soup for the public of Korea, Geumsu Bokguk continues to dazzle the public with their most cherished dishes. Each recipe contains local ingredients to preserve the authenticity as well as deliver a slice of the edible jewels of Busan. Guests will be elated as they take in the cozy decor, exuding an old-world charm that’s illuminated by the vibrant lighting and cheery disposition of the caring staff. Don’t miss a chance to try the underrated delicacies that attract dozens of culturally inquisitive minds, from the bokjim (steamed puffer fish) to the mouth-watering bokjiri (puffer fish soup). Lovers of piquant and savory meals can flock to Gaemijip for some satiating pick-me-up staples that are guaranteed to have you returning time and time again. With conventional interiors, the restaurant is designed to be more functional that luxurious which proves to be less intimidating to tourists accustomed to less pretentious settings. Catch the latest headlines on the fixed TV above while tantalizing your taste buds with heaping portions of seafood broths. 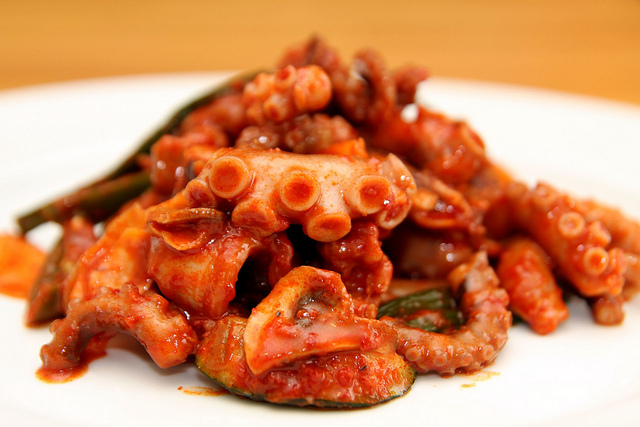 Try the squid and octopus, accompanied by side dishes typical of Korea such as kimchi and jeon (pancakes). 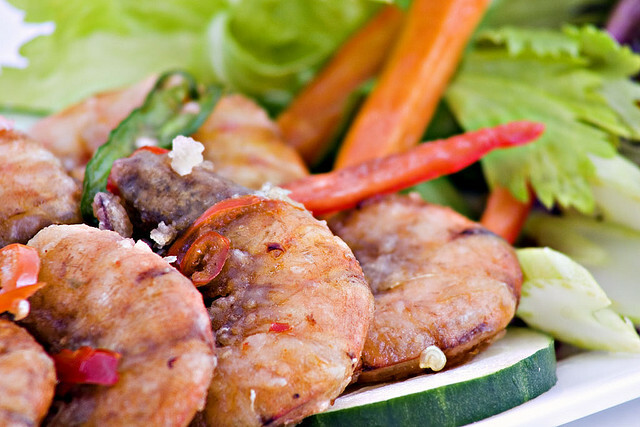 Boasting a raw set menu with an eclectic variety of dishes, curb your crustacean cravings at Gaemijip.